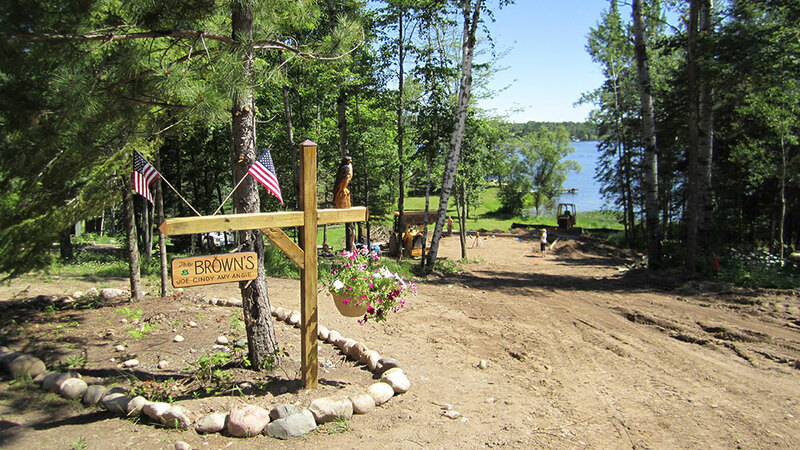 Cindy Brown and her husband drooled over a lake-front property for years before finally buying the land and building the cabin of their dreams. When my husband and I bought the piece of lake property that I had been drooling over for 17 years, little did I know I would be enjoying it without him 22 short months later. Take a little trip down memory lane with me please. Our very close friends bought a little cute-as-a-button old yellow cabin in 1994-ish (give or take a year) and whenever we would take a gaggle of energetic kids for a walk down the road, my friend and I always stopped (yes, almost every single time for 17 years) at a little used and eventually abandoned lake lot just 4 lots down from her. We would talk about how that would be the perfect spot for my family. But life was very busy. I had a husband very involved in dirt bike racing, starting a local motorcycle association and then starting his own business. We also had two girls that were busy with friends and sports. It just didn’t make sense for us to own anything at that time. Instead, we made due by being summer pests—errr—I mean guests at our friend’s cabin. Now fast forward about 17 years. It still amazes me how quickly the years passed as both of our families grew and multiplied. Needless to say, it was getting a little tight at my friend's cabin. Thankfully, they never once made us feel like the pests we were. One day in 2011, my friend called to let me know “the lot” may be for sale. After one quick phone call, my husband and I were the new owners of the property I had been dreaming about for years! In my little dream-world I was just going to put a camper on the property, and truth be told, I would have been happy with a tent and a lawn chair. To me it was about being near our good friends on the lake where my children had grown up water skiing and tubing. But when I started camper shopping, my husband stopped me and to my surprise said, “you don’t want a camper, you want a cabin". “Alright then, if that’s what I really want”, I said. The next 22 months were some of the best of our marriage as we worked side-by-side every single weekend building the cabin “I wanted”. He wasn’t fooling anyone and everyone knew this was for him. 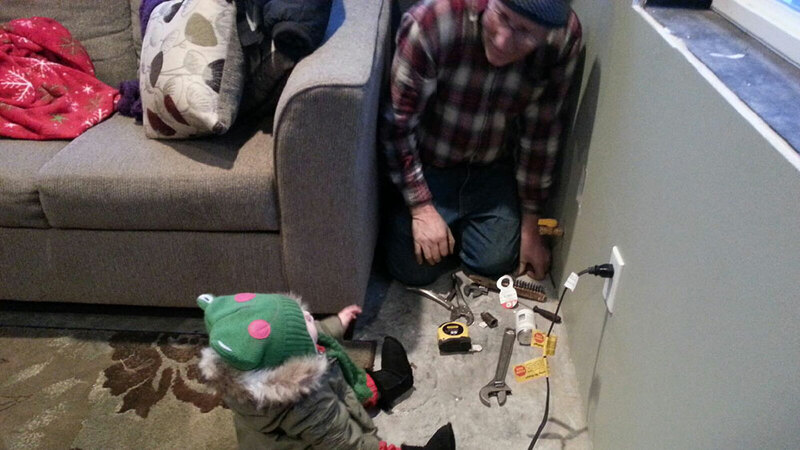 Building the cabin was a project he truly loved. 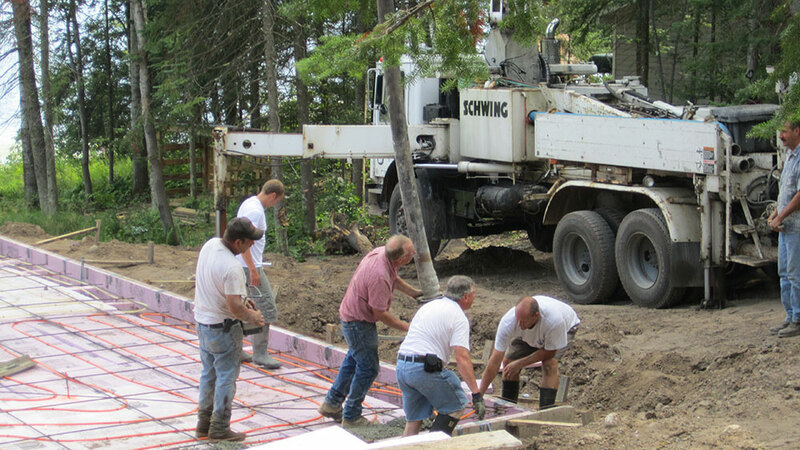 We did every single thing ourselves from clearing the lot, to pouring the heated slab, to building the cabin. That’s not exactly true…it was us, our girls and a lot of our friends and family. December 30th, 2012 would be the last time we enjoyed the cabin together. We had finished cleaning up from the gang that had come up to celebrate with us over the holiday weekend and we were enjoying the absolute peace and quiet. Our cabin friends came down and we spent the afternoon reliving the various steps of the build process through funny stories. That day was perfect. 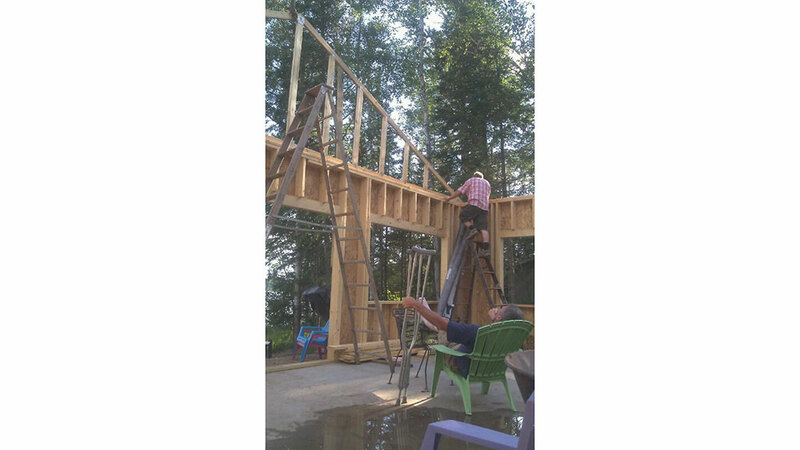 My husband often teased his cabin buddy that it would be said buddy that would finish the cabin, since my husband intended to be on the race track all summer. Sadly, the teasing turned into reality. My husband was killed doing the thing that he enjoyed the most—riding his dirt bike— five days later and about a month short of our 33rd anniversary. 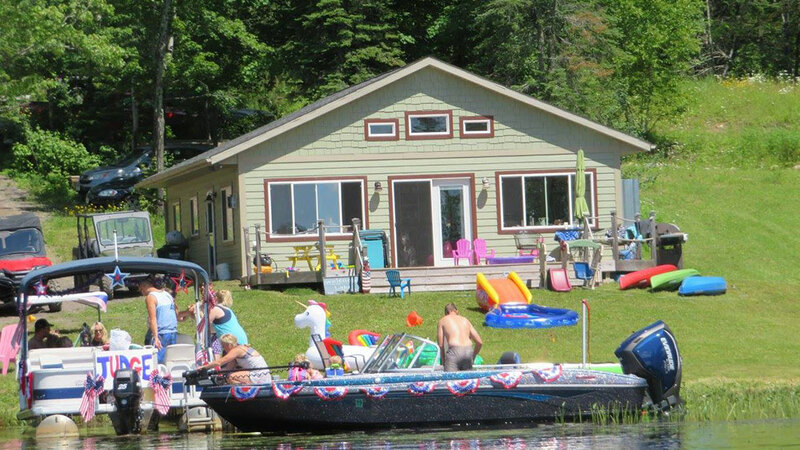 The only way to get through the grief that first year was to go to the cabin. It was the one place I actually felt comfort and the closest to him. Time is such a wonderful thing; it forces you to heal. Now when I go to the cabin it is no longer to try to find comfort, it is to enjoy the thing I take the most pride in that we accomplished in our many years together. I go to the cabin often and it is rare to have a quiet weekend up there. It’s always a busy and fun-filled place between my girls and their families, my very special and wonderful family and friends, four wheeling, boating, camp fires, and more! It was just as I had dreamed it would be so many years ago. The cabin turned out beautiful and perfect. It truly is my happy place and I have my wonderful I-will-tell-you-what-you-want husband to thank for that. 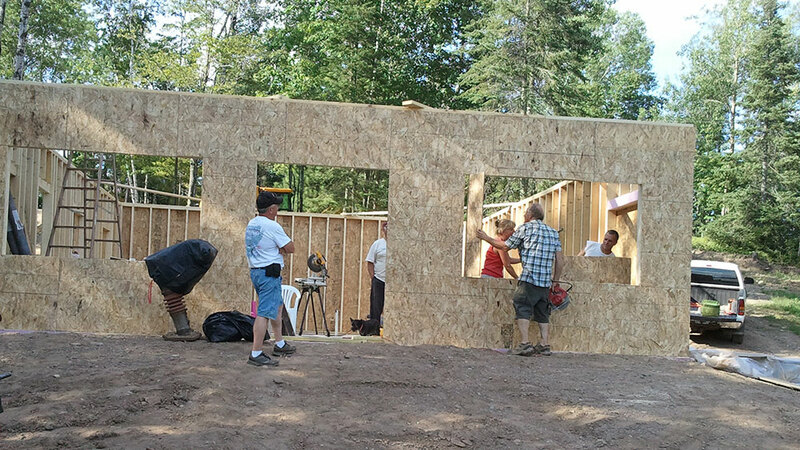 "Walls are up. Where's the roof?" "Land is cleared...now it's ready for the slab." "I hated those rickety old wooden ladders. He loved them." 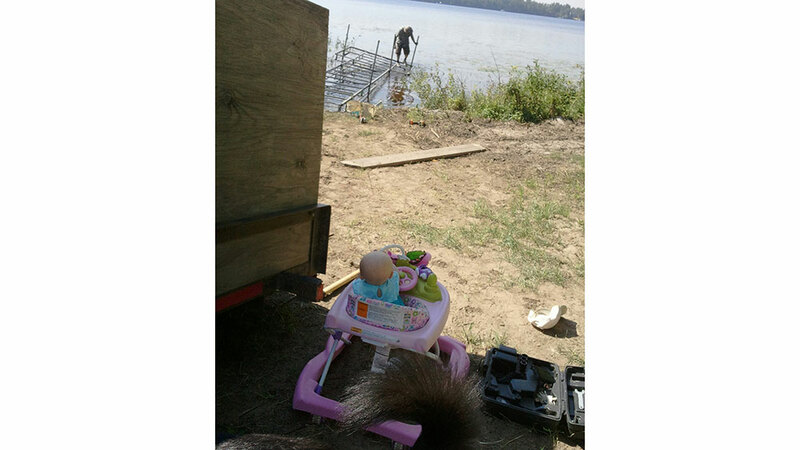 "Harper, our first grand child, watching Grandpa put in the old dock he found online. He loved a good deal." "Just a few of our very generous-with-their-time friends and family." "Now I can't part with the ladders I once hated." 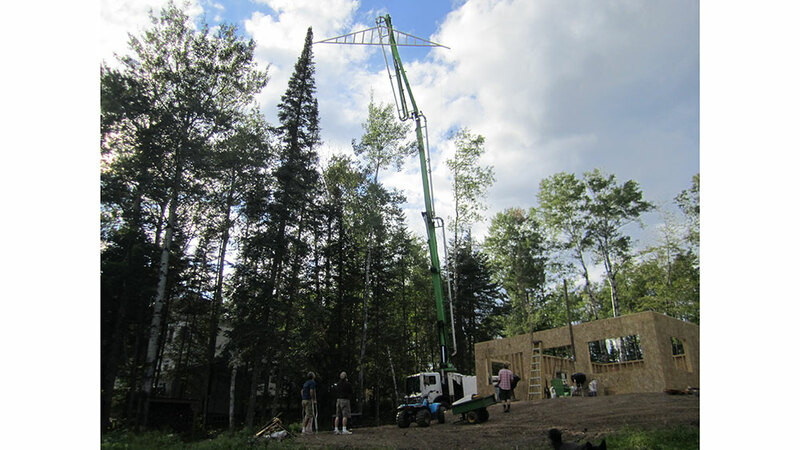 "When you own a concrete pump truck buisness, setting trusses is easy."